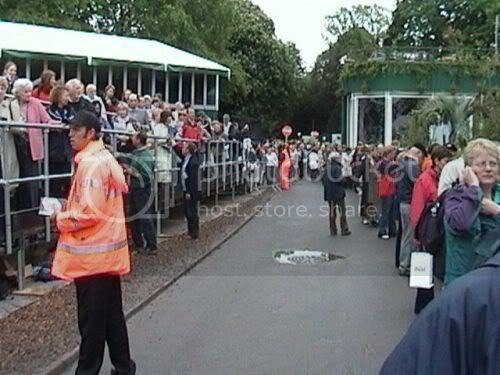 The last uploaded image showed a view of the front gate on Saturday afternoon and shows the crowds going in. 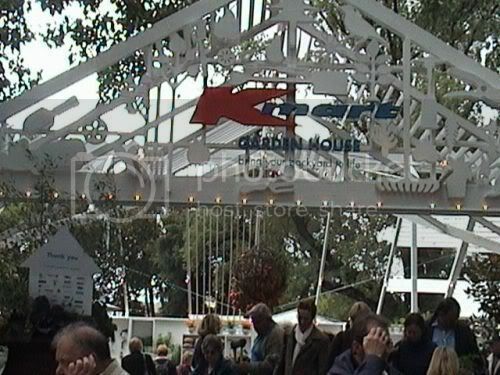 Below are a few more images from the show. 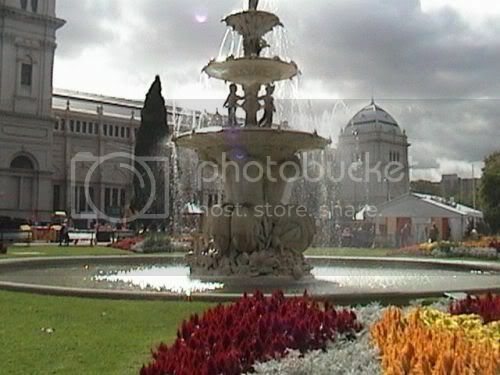 This is the beautiful fountain outside the main exhibition hall. Due to water restrictions no water running this year. 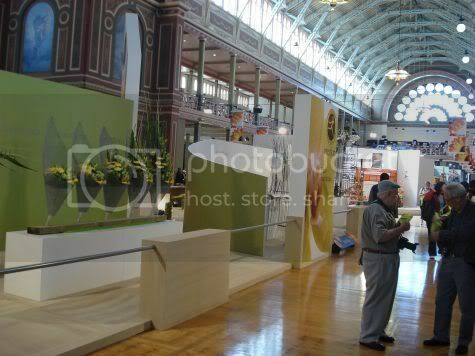 This is a view of the outside of the Exhibiton Hall. Its a very historic building which I belive was used as the first Australian Parliament years ago. 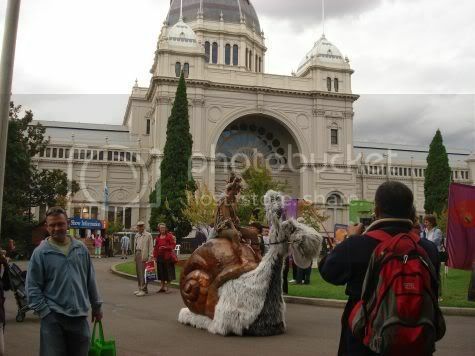 The building and snail are stunning. One of the views from inside. 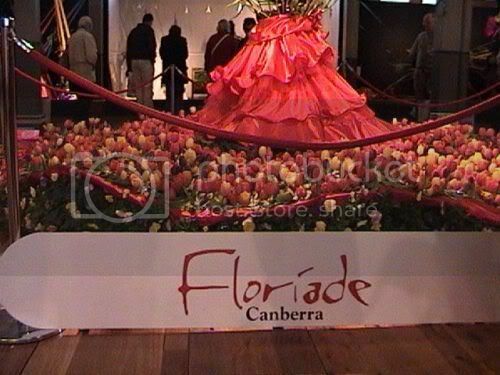 This is just inside the main entrance and housed the floral exhibits. Upstairs are art displays and some commercial areas. New roses being introduced by Australian growers. 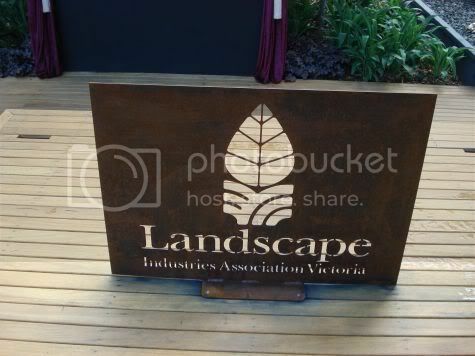 The Landscape Industry Association had a large area where separate members had displays. 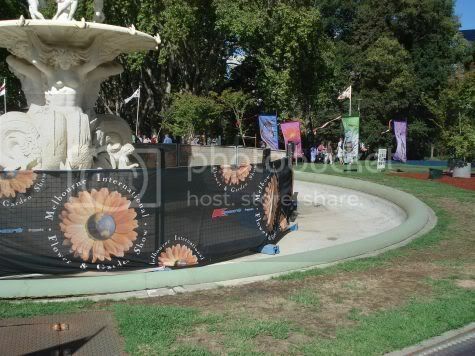 The following images show these. This is the Globe, designed by Richard Bellemo. 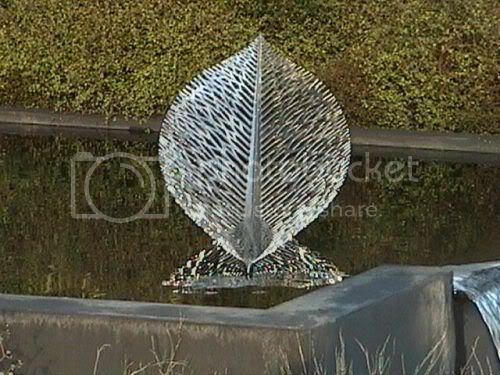 Constructed by Mat Billman in conjunction with Richard Bellemo ( RB Landscapes ) It was supported by Gardens at Night. 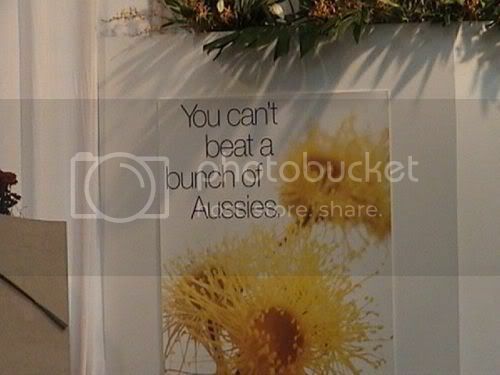 This was titled. 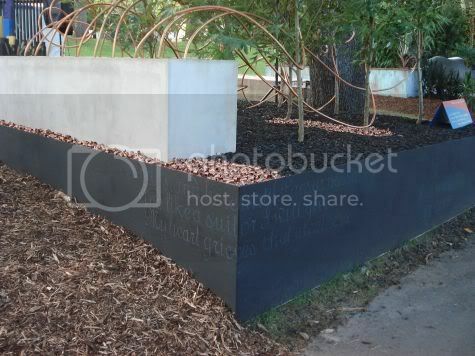 "Can one desire too much of a good thing" Designed and Constructed by Earth Art Landscapes. 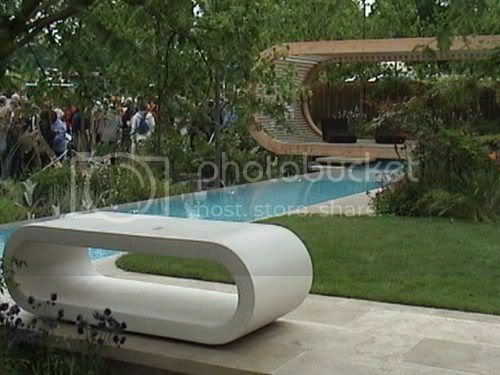 Supported by Boyd Alternatives / Tait Decorative Iron. 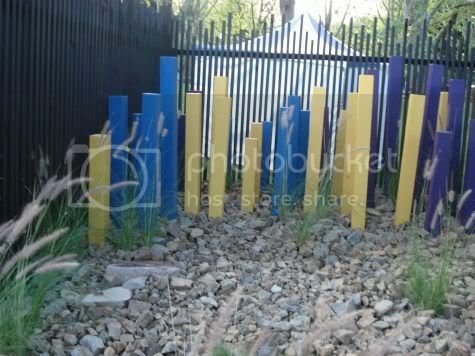 Bills Pillars is this image. 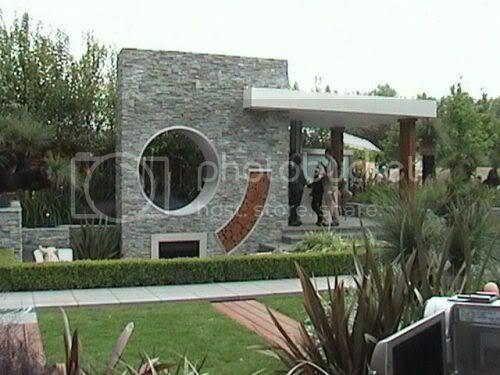 It was designed by Hames Dawson landscape Design, and Conststucted by Woodbridge landscapes. 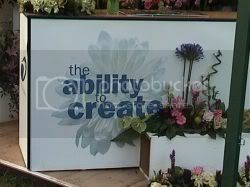 Support was given by O'Sheas Timber and Hardware, and Wales Street, Primary School, Thornbury. 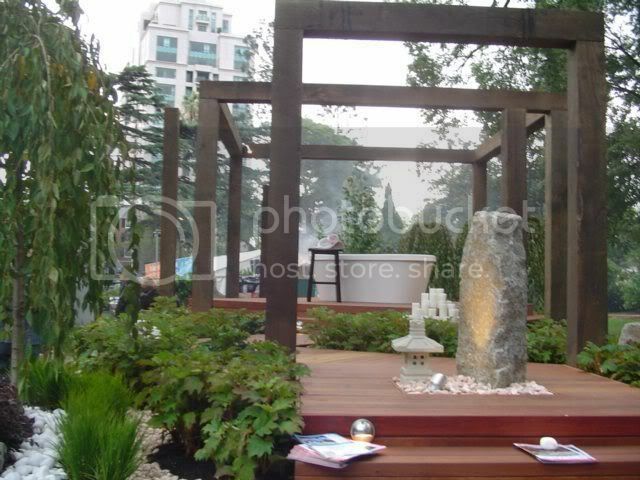 "All the Worlds a stage and all the Men & Woman are merely players" Designed by Scott Wynd and constructed by Total Landscape and Construction. 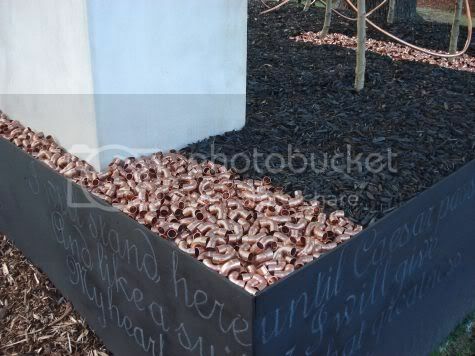 "Beware the ides of March" This shows the use of Copper Pipe and copper plumbing fittings in a landscape. A closer image of the copper plumbing fittings. and darkened bark. Ive been very busy with alsorts. 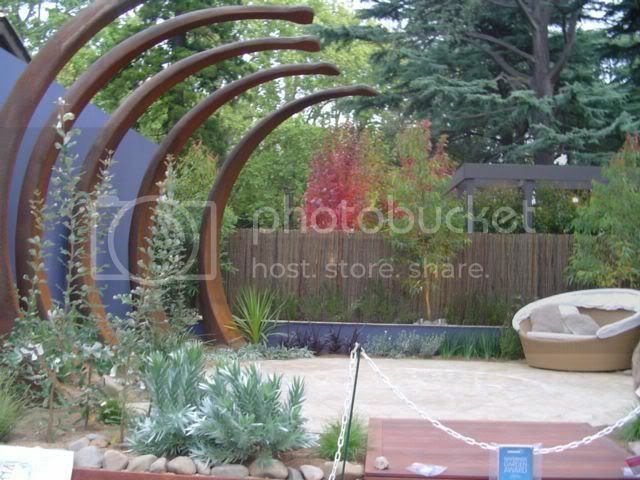 The Melbourne Flower Show is on unil Sunday 1st April 2007. I will put up images ASAP but will have live images for about 1/2 an hour on the last day. 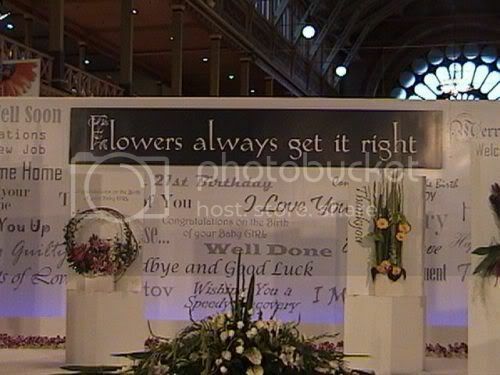 The images will be on my site. 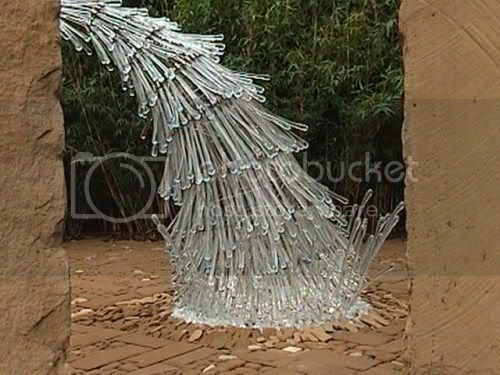 (see link in my profile) It's a great show considering the amount of drought they have had. 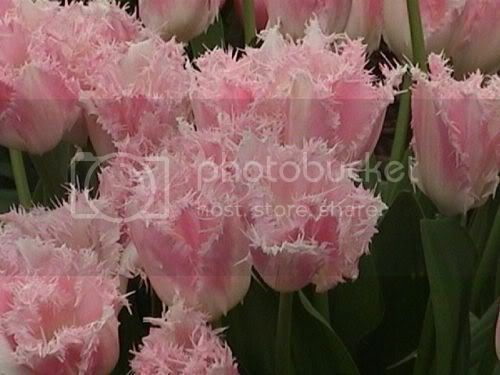 I will do lots of images next week, after my return to New Zealand. Hi again to everyone, sorry for the delay in getting back to the site. i seem to have been very busy recently with one thing and another. 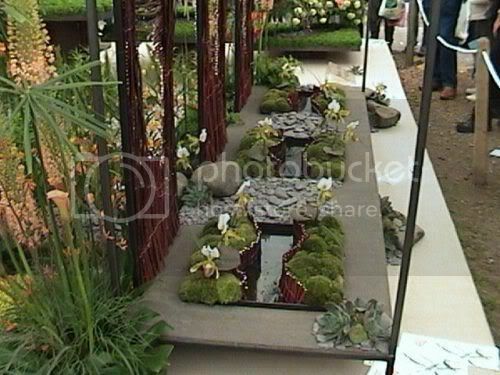 Last week i sorted out some images from the Melbourne Flower Show, and will put them up for you all to see shortly. 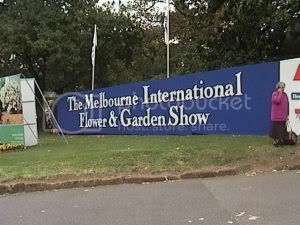 The Melbourne International Flower Show is held in Australia every Autumn in March. 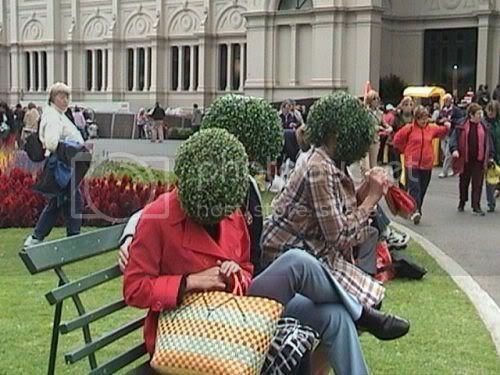 It really shows off the best plant people from this part of the world. 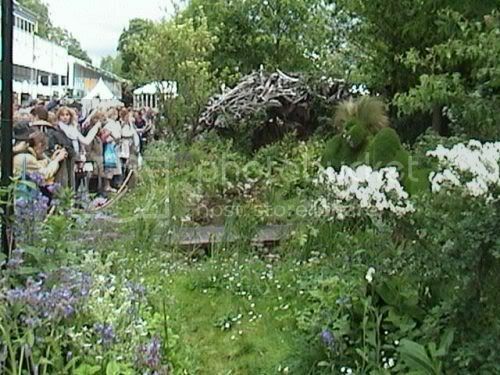 Most of the up and coming garden designers are here, displaying there best creations. 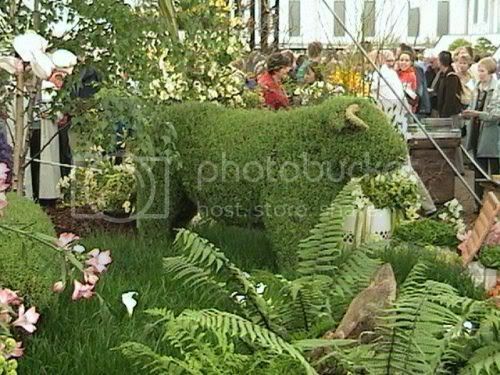 Each is judged by a selection of people and the winning garden is generally taken to the Chelsea Flower show in London. This March I will be flying over and will again if all goes well put up live images from the show. Anyway more soon. I must say thanks to those who commented on the images I put up a while ago. They are great and very encouraging. i hope you like the next selection. 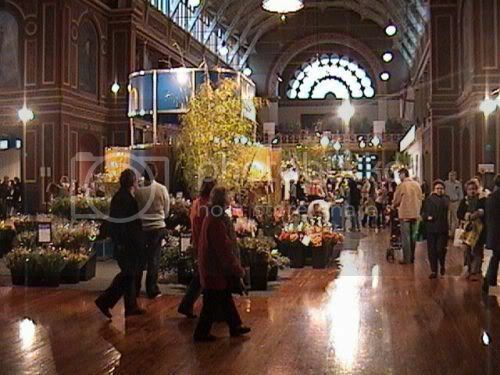 This was one of the uploaded images, it shows a view of the retail area. This was a section where they had items on show. I think these were shade sails but all messed up. 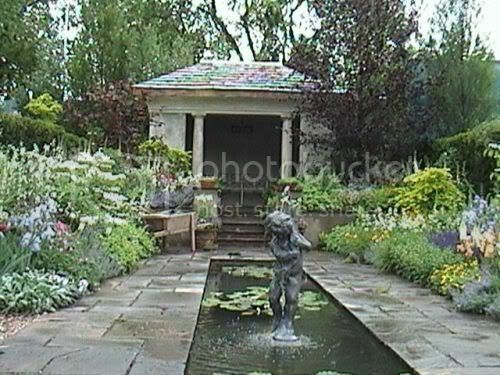 This is another view of that Australian Garden, its pretty cool, every persons dream garden. 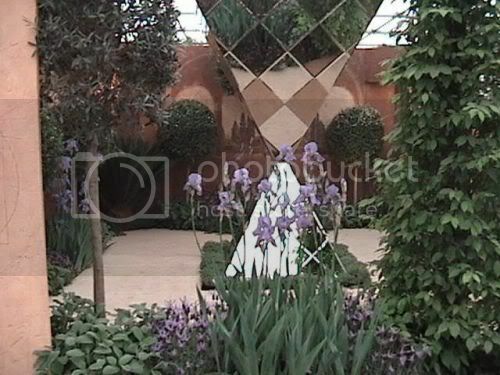 This is the Da vinci garden. Remember the movie. 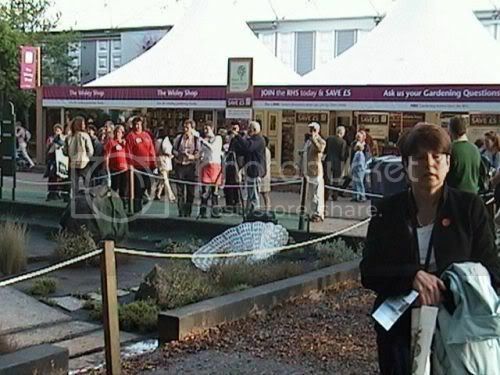 At the show were a line of show gardens, to get lots of people to see them, they created 2 lines for the public to follow. A slow line and a fast line. 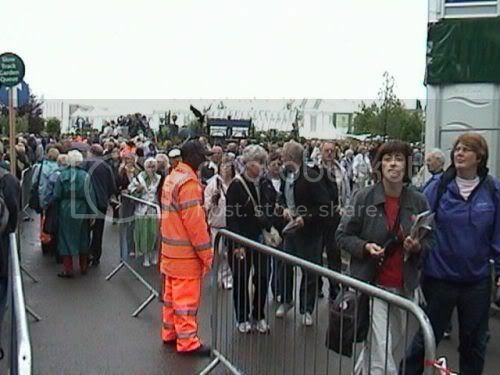 This view is of the start of the line. The next image is showing both fast and slow lines. The fast line is on the scaffold and raised. 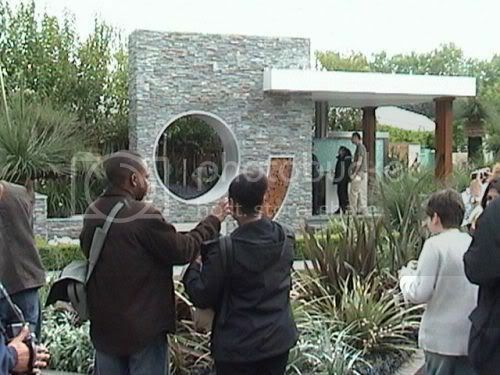 The slow line allowed people to see the gardens up close, but slowly. I thought this sign was really cool. This looks like party time. 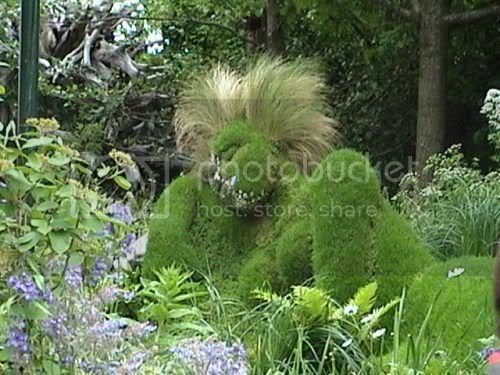 This is the New Zealand garden. 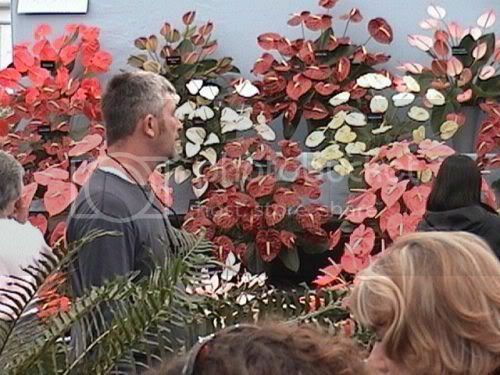 It really does look like a beach garden from home. 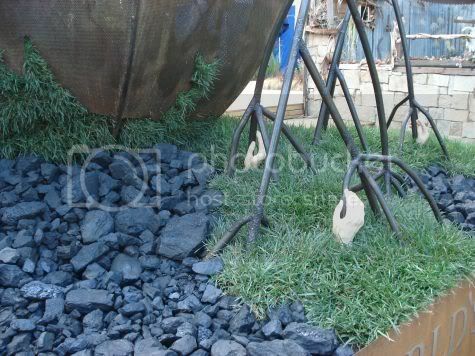 Black sand grasses, trees and bush and lots of space. 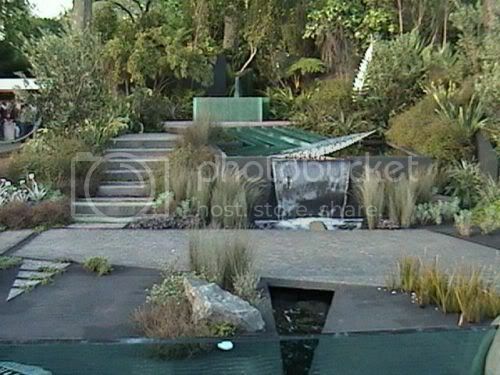 This shows the bottom corner of the Kiwi garden. 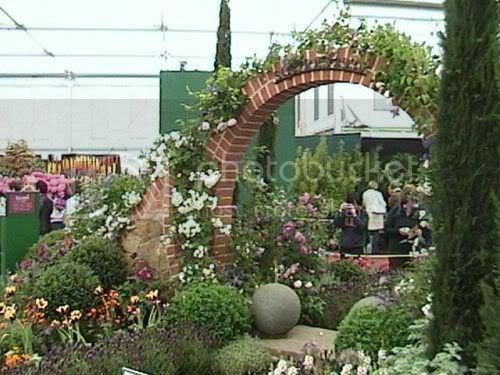 Over the path is a RHS stand. These people were very helpful so I have joined up. I couldn't resist getting a picture of this tee shirt. 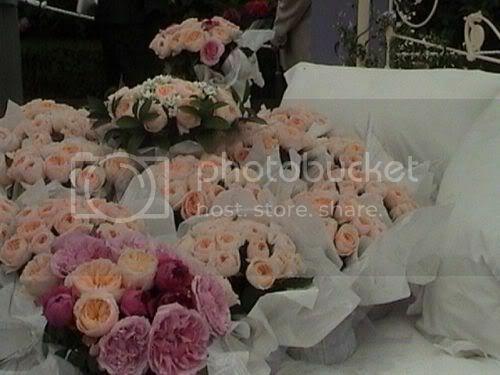 David Austin Roses. Each and everyone just perfect. 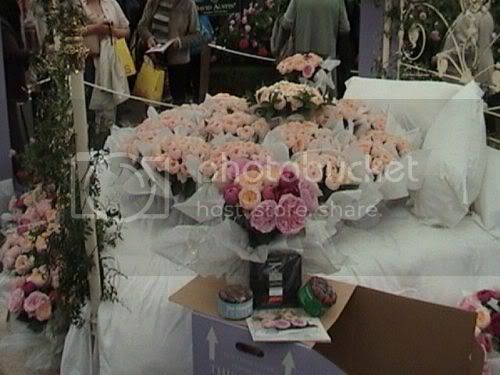 Below is the bed of roses. 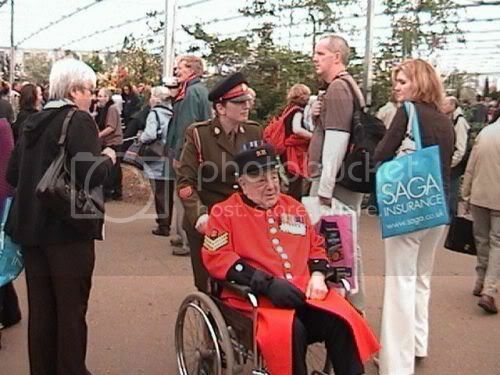 This gent is one of the residents at the Chelsea Hospital. 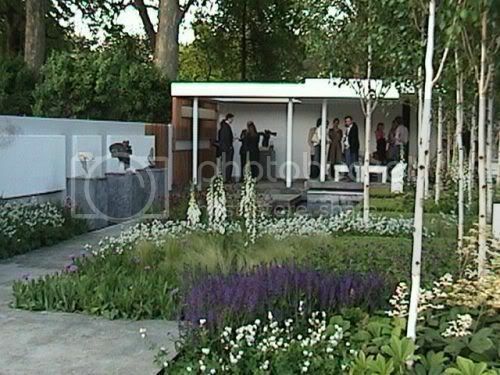 The Chelsea Flower Show is the Annual fundraiser for the Hospital. 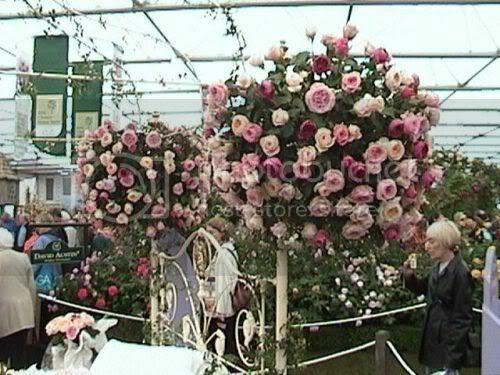 This is another view of Mr Austins Roses. 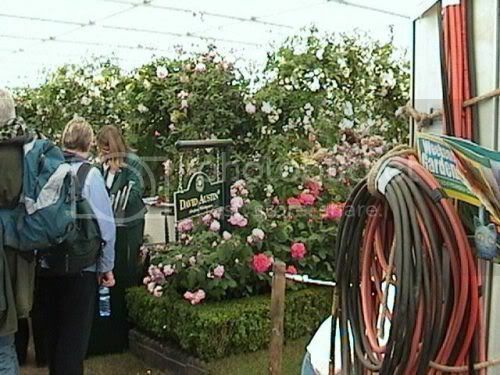 it also shows some of the hoses that were around the show. 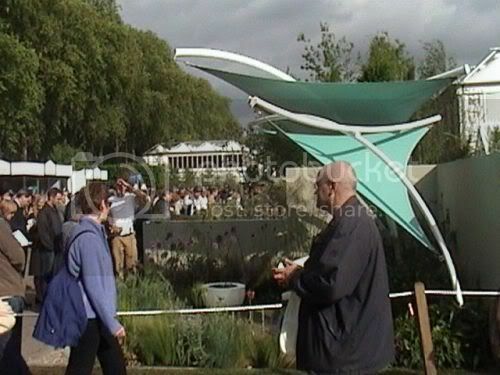 For weeks prior to the show, they had no rain, suddenly on opening day the heavens opened. 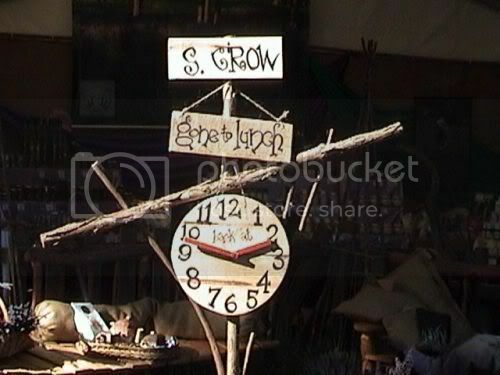 I visited the show on Thursday and Friday and the ground in parts was like a bog. 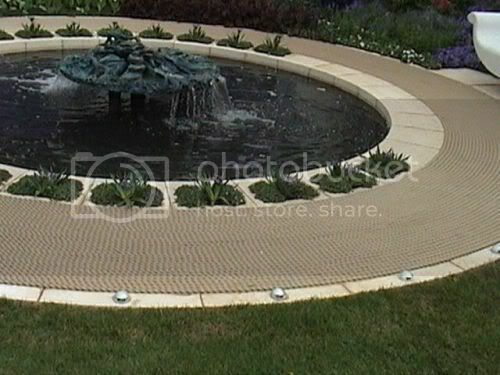 Plastic grating an bark mulch had been laid out to help people stop sinking. 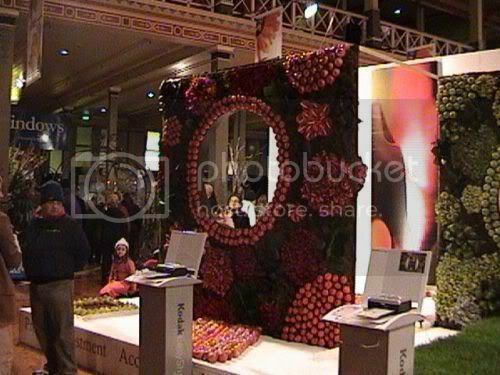 Back inside the big marque were lots of different flowers were in display. 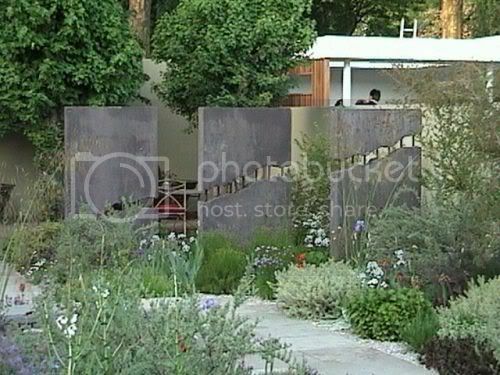 And fantastic gardens. Like this one. 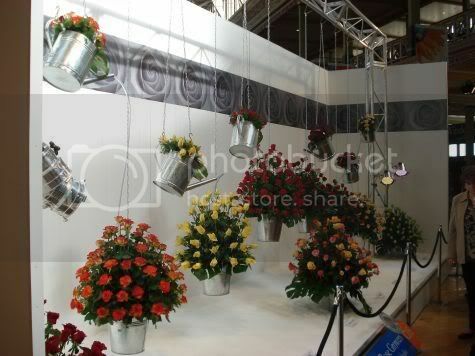 More soon, i have found some of the floral arrangements. 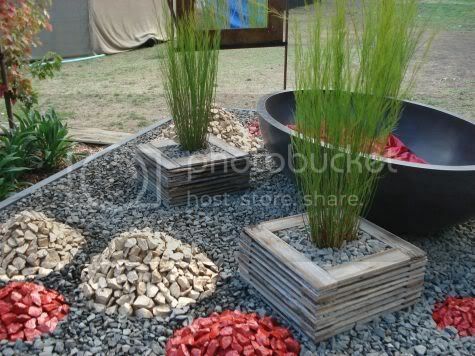 Great ideas for those who like that sort of thing. This is a trial run. Just to check it out. 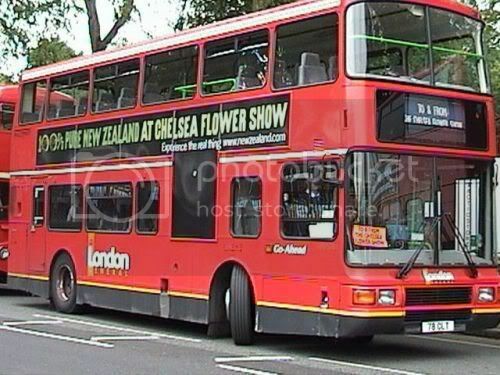 Its a nice bus, lots of them had this advert on them. 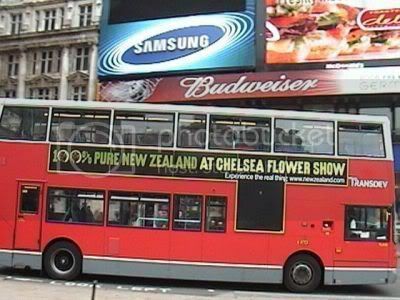 As I am from New Zealand I thought I would start with one of these. Right now I know it works i will try one from another site. 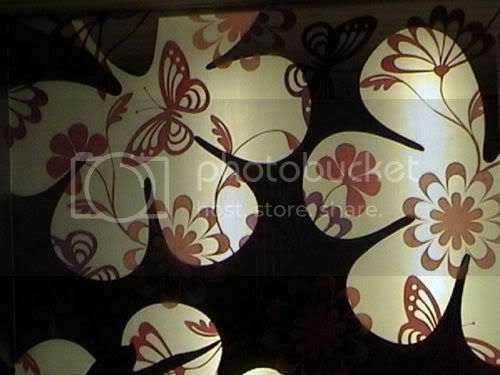 Umm ok that didnt work, I will have to get them resize them and stick up on Mr Photobuckets site. Oh yes thanks for the comments. I have lots of images and will sort some soon. 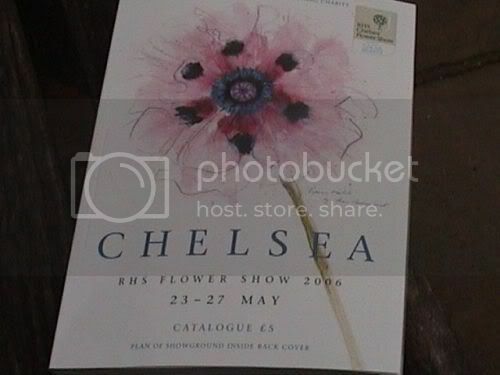 Do a search on google and the offical RHS site and I am sure you will find some. 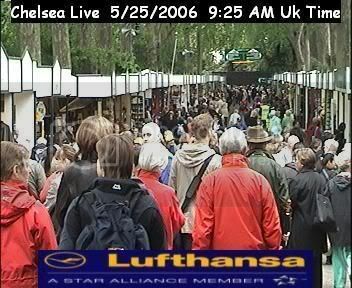 Try looking for the live chelsea cam and let me know what you find. I seem to get different results when I search from New Zealand. 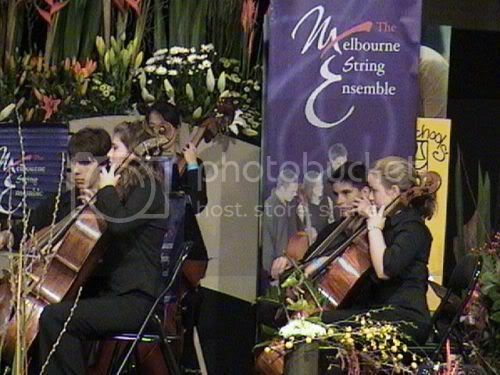 Will put up some images this weekend.